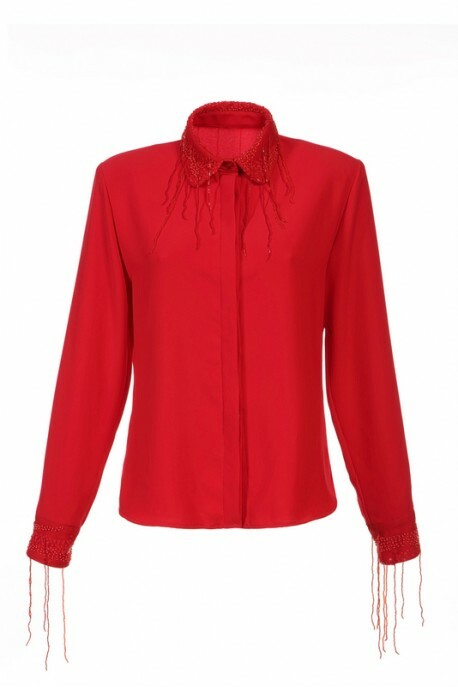 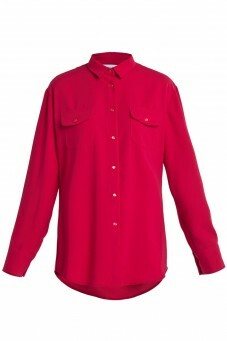 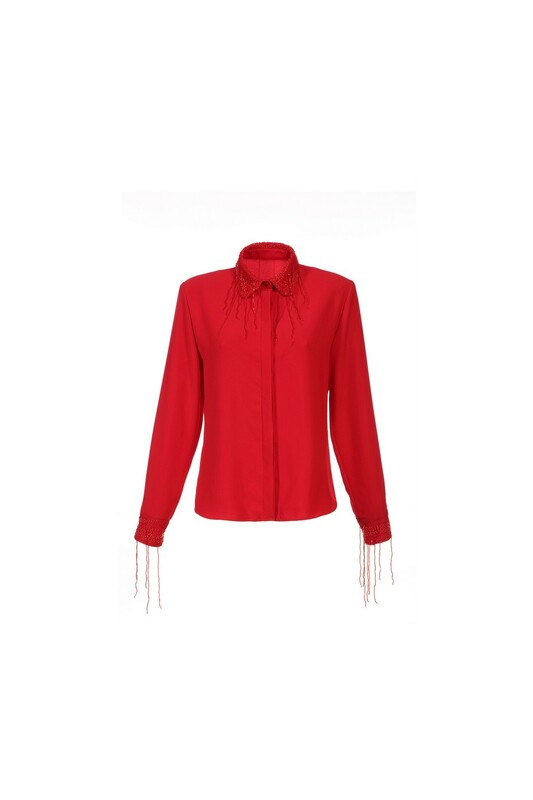 Red shirt of silk with a red collar decorated with sequins and fringes of beads. 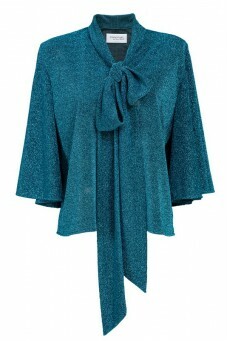 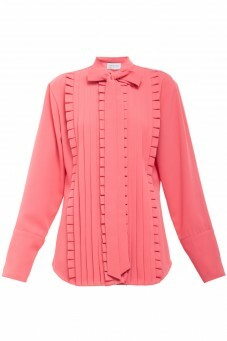 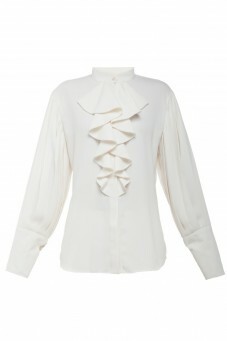 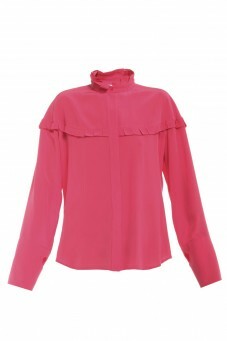 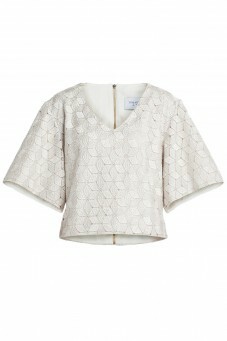 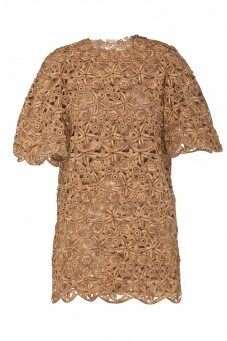 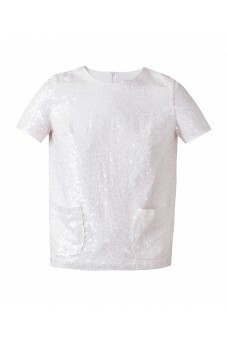 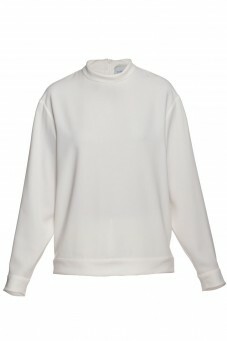 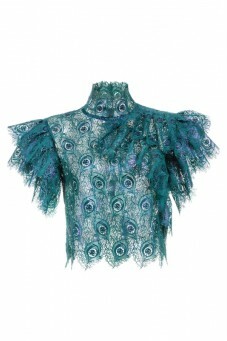 You can enjoy it in combination with trousers with a high waist or with a skirt. 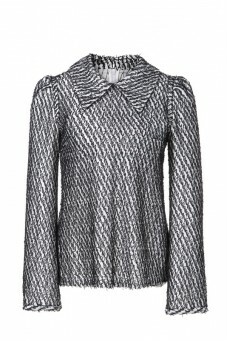 Unique collar gives a charisma to the whole styling. 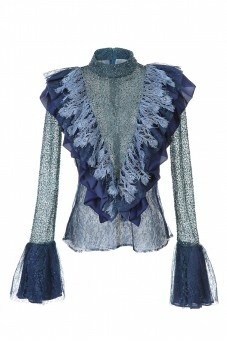 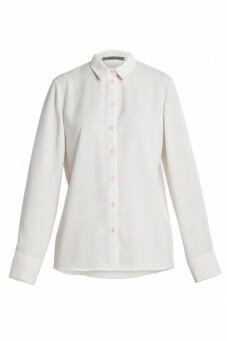 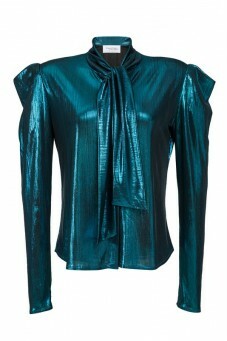 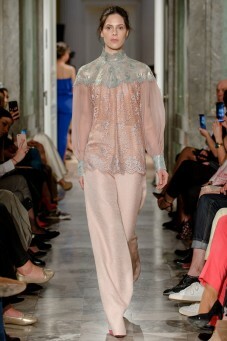 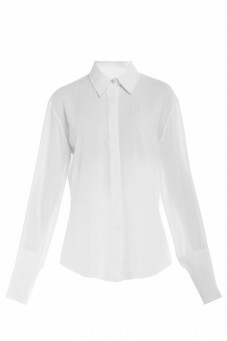 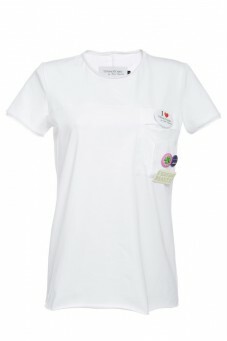 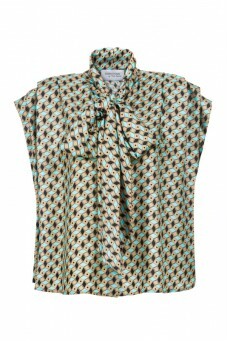 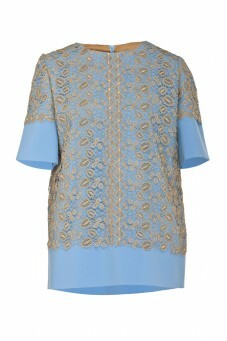 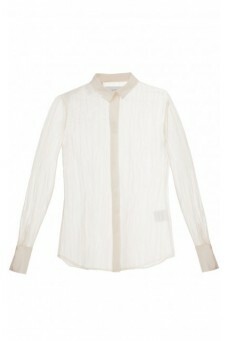 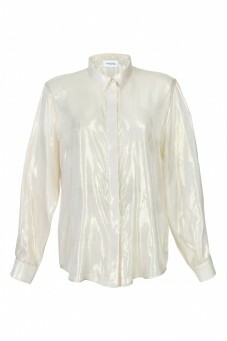 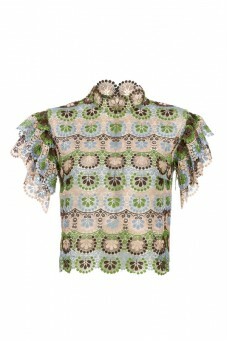 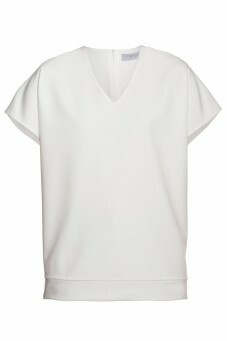 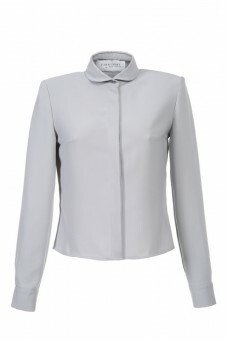 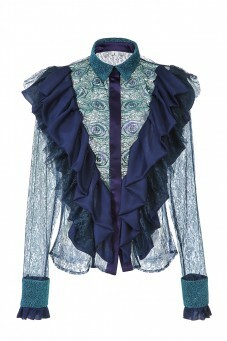 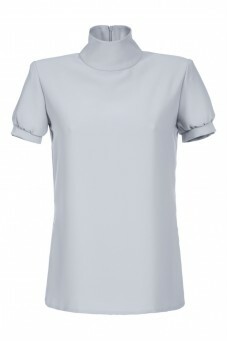 The shirt is made of soft and delicate silk.